Yesterday, It was reported that a high level State Department figure (believed to be Negotiator and Clinton confidante Martin Indyk) bashed Israel’s conduct during the peace negotiations. In another example of the Obama administration’s one-sided criticism while that was going on, a senior member of the Fatah Party run by Palestinian President Abbas, was calling for Jerusalem to be soaked with blood and Israel to be destroyed. 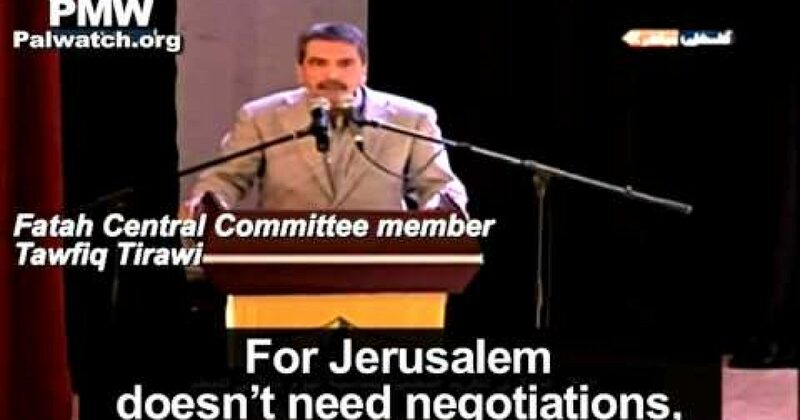 Even at the height of the peace negotiations with Israel, in December 2013, member of the Fatah Central Committee, Tawfiq Tirawi said that Palestinians were not committed to non-violence. Rather, he said that negotiations are just one option, and do not preclude use of the “rifle,” which the Palestinians have never abandoned. Where’s Indyk on the constant incitement of hatred coming from the supposedly “moderate” Fatah? Why is Kerry’s mouth shut on the hatred? The truth is that the Palestinians don’t want peace just look at what they teach their people. As for Indyk, word is he is quitting, but don’t be sad for him because if Hillary Clinton is the 45th President, Indyk will be bringing his anti-Israel attitude back to the beltway.